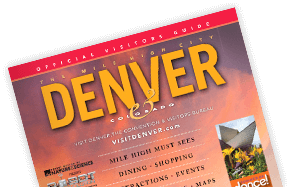 Use this form to contact the many partners of VISIT DENVER who are ready to assist you with all your meeting planning needs. VISIT DENVER will distribute this lead based on your venue and meeting requirements. If you prefer to contact our vendors directly, refer to our Vendor Guide to view a complete listing of our partner service providers. For meetings that may require a room block, visit the primary Submit an RFP page. For assistance, please contact the VISIT DENVER Convention Services department at conventionservices@visitdenver.com. VISIT DENVER'S Convention Services department helps meeting planners efficiently manage accommodations for large groups. Whether on foot, by car or by light rail, Denver is an easy city to get around. Denver's creative, young chefs are cooking up feasts that can rival offerings in any city. Use our search tool to find your next favorite eatery.